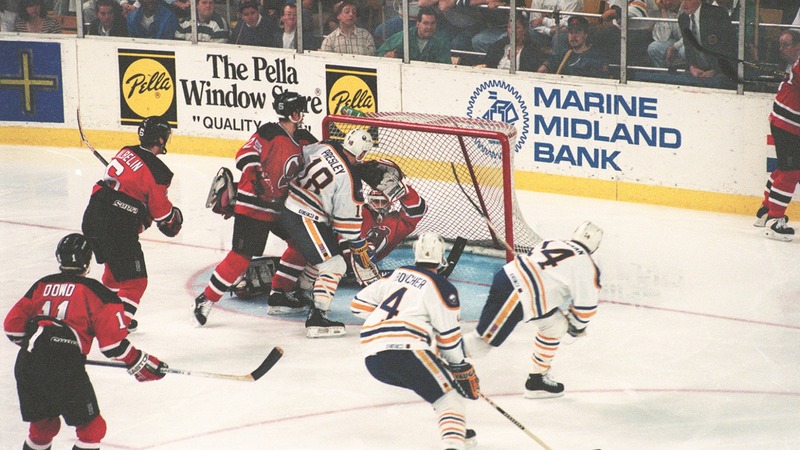 Dave Hannan scored in the fourth overtime of a marathon victory for the Sabres in Game Six of a first-round series with the New Jersey Devils on April 27-28, 1994. The classic game at The Aud concluded at 1:52 a.m., with Hannan's game-winner the lone goal. Buffalo had goals waved off twice during the second period -- once for goaltender interference and another upon video review when it was determined the puck was kicked in. The game lasted 145 minutes, 23 seconds of game time. Sabres defenseman Doug Bodger had nearly 60 minutes of ice time. Referee Terry Gregson was pointing emphatically at the puck that lay inside the New Jersey cage. The replay officials were turning off their VCRs. And Dave Hannan was on his knees sliding and pumping his arms in wild celebration of The Goal That Finally Counted. "I don't score a lot, so I was kidding the guys," said the player who lifted the Sabres to a 1-0 victory at 1:52 a.m. in Game Six of their series with New Jersey. "I said, 'Guys, whoever scores in this one might have a free ticket to the Hall of Fame.' 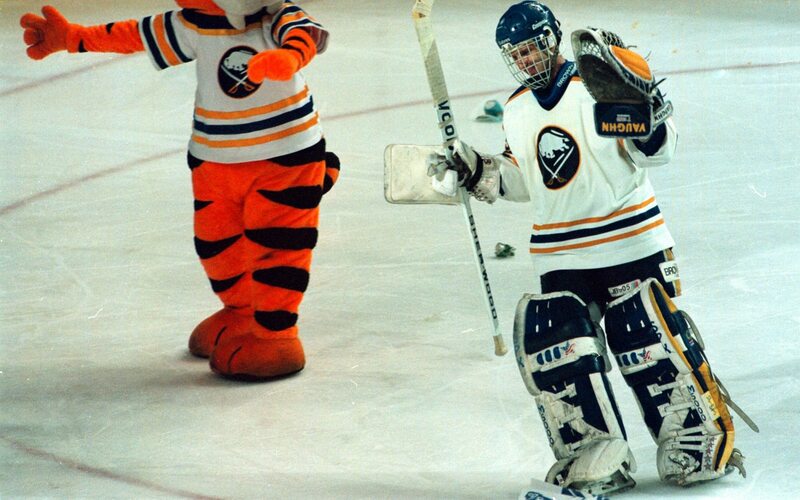 "
This game was a classic, not just a hockey classic but a Buffalo sports classic. For 125 minutes and 43 seconds, the quiet blade of a man from the Czech Republic fought off elimination for his team. 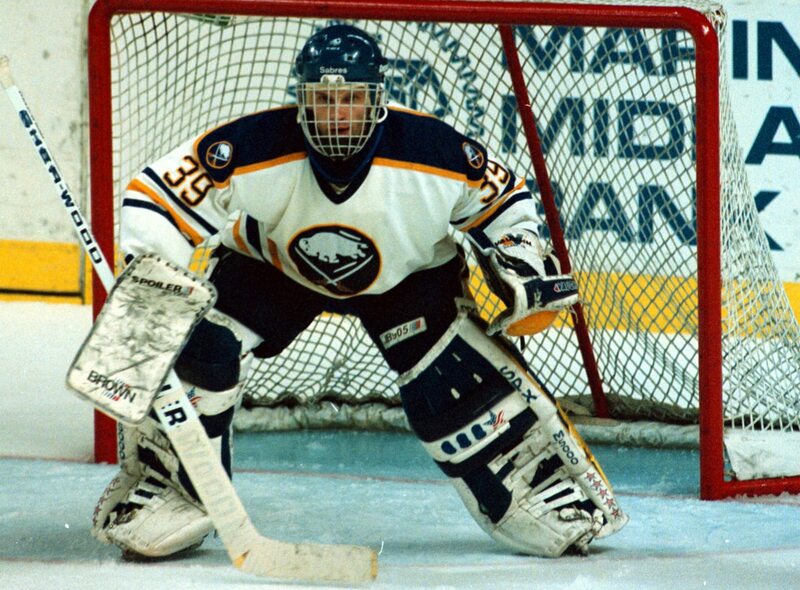 The bonus is that with Hasek in goal, the Sabres know they can beat any team.